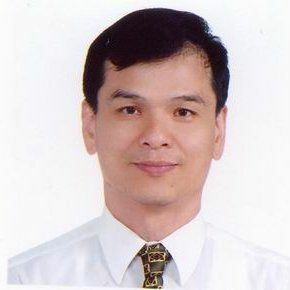 Kenneth started his career with IBM Taiwan in 1982. He got his MBA degree in 1989 and left IBM in 1994. For his career with IBM, he served the largest local banks and insurance companies and the largest foreign banks in Taiwan. After then, Kenneth moved his career into Multimedia field. Before year 2000, Kenneth worked for new ventures such as Artif technology and Great China Music.com. Artif was acquired later by Pacific Constructing Group which was one of the biggest enterprises in Taiwan. With them, he was the President of KTS CATV. At the project of Great China Music.com, Kenneth led a team not only to set up the management operations but to design a process to produce personal CD album and slide show in web site. The process seamlessly integrated a series of procedures to generate photo image and audio files in CD and web browsing format. It created a new business model of combining virtual Internet and physical CD studio in the multimedia industry in year 2000. Before join PCI, Kenneth worked for IBM invested company, International Integrated Systems Inc (IISI) and Financial Intelligence Technology Inc (FITi) as executive team member. Both IISI and FITi provide software service in the Financial Services Industry. During Kenneth’s 30+ years of working experience with all the above mentioned companies, Kenneth has demonstrated his ability and performance from the aspects of Business Development, Operation Management, Project Implementation, P&L Control and Strategic Planning etc., in Sales, Process and different Management and Executive positions. Back to PCI Executive Search Consultants, Ltd.